Oregon passes sweeping law enshrining abortion rights and funding for all. If Roe v. Wade falls or Obamacare gets repealed, Oregonian women will have some protection. Since Republicans lack the political and legal power to invalidate Roe v. Wade, they’ve spent the last several years pushing their anti-abortion agenda in state legislatures. The Supreme Court has crushed a few of the most egregious constitutional violators, and when Barack Obama was in office, he took small but significant measures to safeguard access to abortion care. Now that Donald Trump is in the picture, taking all his cues from the most radical wings of the anti-abortion movement and nominating a women’s health opponent to the court, state legislatures are growing even more emboldened in their fight to limit access to reproductive health care. Some state legislatures, that is. While states like Iowa are taking advantage of Trump’s go-ahead on defunding Planned Parenthood, others are using his rise to power as an opportunity to pass progressive measures codifying federal protections that could crumble under Trump. A handful of states have passed bills requiring insurers to cover contraception at no cost to patients—a provision of the Affordable Care Act that Trump and Republicans want to scrap. A few have gone even further, ensuring patients’ access to a year’s worth of contraception at a time. Some states, including Maryland and Vermont, passed these laws before Trump won the election. Others began seriously considering beefing up health-care protections after it became clear that the new administration had a target on health-care access for women. On Wednesday, the Oregon state legislature joined the ranks of states preparing for the worst by passing the Reproductive Health Equity Act. If signed by the very pro-woman Gov. Kate Brown, the bill will enshrine the right to abortion care in state law, a first for Oregon. It also requires insurers in the state to cover contraception, vasectomies, prenatal and postpartum care, abortion care, screenings for reproductive cancers and STIs, and counseling for survivors of domestic violence. All would be completely covered at no cost to patients, even if the ACA were repealed, with some federally mandated exceptions for churches and religious groups. The legislation will close several loopholes that don’t get as much airtime in conversations about reproductive health coverage but nevertheless prevent tens of thousands of women from getting necessary care. More than 18,600 Oregon women of reproductive age are covered by insurance plans that were “grandfathered” into the ACA with existing cost-sharing setups that force women to pay out of pocket for contraception and preventive care. More than 43,000 Oregon women of reproductive age have high-deductible plans that place abortion care out of reach. About 48,000 women can’t buy insurance on the state health-care exchange and can’t qualify for Medicaid because of their citizenship status. Transgender and gender-nonconforming people can be denied coverage for reproductive health care that’s only approved for certain genders or filed under “women’s” health care. Under the new bill, Oregonians who fall into one or more of these categories will have affordable or no-cost access to essential reproductive health services. The $10 million bill will dedicate nearly $500,000 over two years to reproductive health care, including abortion coverage, for immigrants ineligible for Medicaid alone. As I’ve written before, codifying the protections of Roe v. Wade into state law doesn’t do much. If the Supreme Court overturns Roe, abortion care won’t immediately become illegal—Congress and state legislatures will just be allowed to ban abortions. If that happens, and Oregon’s state government is in the hands of anti-choice Republicans, they could merely repeal the state’s abortion-rights law. 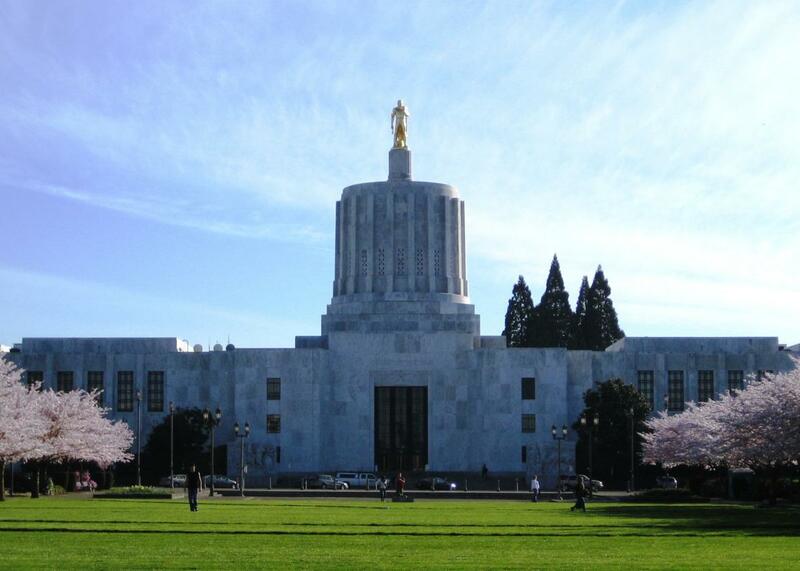 If Congress passed a law banning abortion, it would supercede Oregon’s law anyway. But as a symbolic statement of a commitment to reproductive rights, the pro-Roe provision of Oregon’s Reproductive Health Equity Act is strong. Elsewhere in the U.S., anti-abortion advocates are challenging women’s very right to information about abortion. Earlier this year, the Texas Senate passed a bill that would allow doctors to lie to a pregnant patient if they believed she would consider abortion if she found out her fetus had a severe disability or abnormality. In Illinois, crisis pregnancy centers (CPCs) are currently fighting a law that required medical providers to tell patients all their pregnancy-related options, including termination. Giving patients their full slate of care options is standard procedure in medical practice, but the anti-abortion organizations challenging the law in court claim it impinges on their right to free speech. They also say it violates federal protections for health-care providers who think abortion and contraception are wrong. This argument—an echo of the protests CPCs in California launched when the state passed a similar law in 2015—illuminates the dishonesty of anti-abortion narratives that peg women as helpless victims of a money-grubbing abortion industry. If women can’t trust their doctors to help them identify and find the care they need, who can they trust? (A better question: Why would a person with moral objections to certain health-care procedures enter that field of patient care?) A state law asserting the right to abortion may not make any immediate material difference in access to care. But amid so many other creeping offensives on women’s rights, a positive stance—as opposed to Roe’s double-negative, you-can’t-say-we-can’t protection—is a happy change of pace.